Although the Civil War was fought across America, the most captivating events for history buff s seem to be those that occurred in the relatively small region surrounding the two wartime capitals, Washington, DC, and Richmond, Virginia. 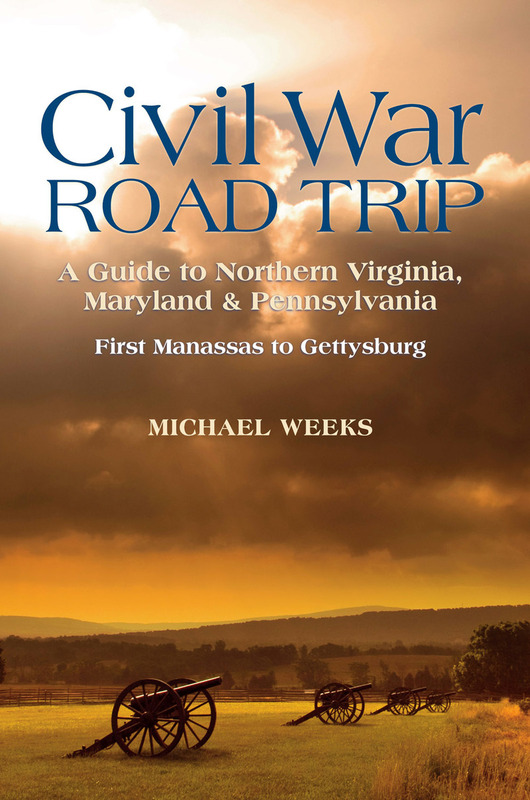 In The Civil War Road Trip: A Guide to Northern Virginia, Maryland, and Pennsylvania , author Michael Weeks takes you on complete tours of every major military campaign in the region during the first two years of the war, from First Manassas in 1861 to Gettysburg in 1863. Weeks has visited every site included here, learning their vibrant stories and driving thousands of miles to bring readers the most accurate information. Detailed directions and maps for your own road trip, along with a blow-by-blow history of each campaign, will guide you to and through some of the war’s most critical battlegrounds, including Fredericksburg, Antietam, and the Shenandoah Valley. Travel tips, historic lodging places, and further sources of information are also included. Fully up to date and thoroughly researched, this guidebook is indispensable for travelers interested in America’s history. Michael Weeks is an amateur historian with a passion for the road. He has driven tens of thousands of miles across America in order to experience first-hand the amazing stories and experiences that U.S. history has to offer. Michael lives in the South Loop area of Chicago, Illinois with his wife, Charlotte, and works as an occupational health and safety consultant. He is a graduate of Purdue University. His books include The Complete Civil War Road Trip Guide and Civil War Road Trip: A Guide to Northern Virginia, Maryland & Pennsylvania.